A little pregame reading as @thamilton11 talks about his hockey career & his time so far in #HockeyValley ! Time to bounce back. 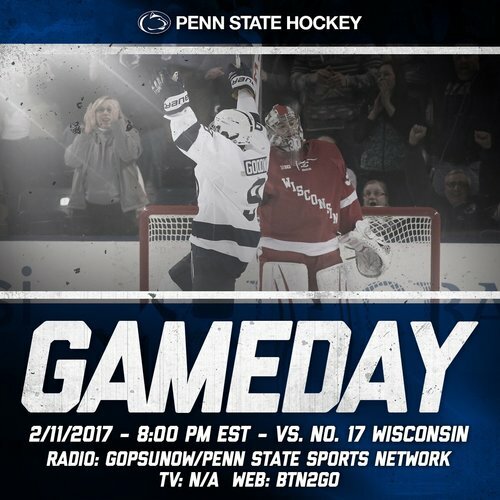 Series finale of Badgers and Nittany Lions just about 90 minutes away. 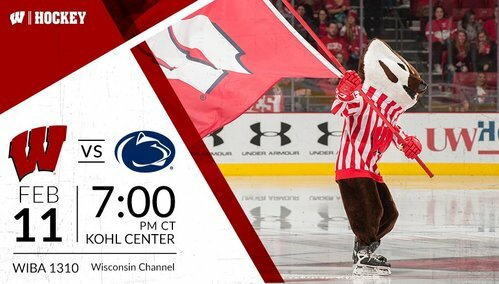 Under an hour away from puck drop at the Kohl for the second half of @BadgerMHockey 's home series with Penn State. 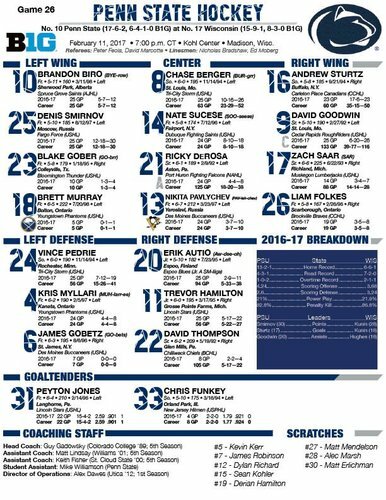 If Jurusik has a strong night tonight, he moves into 1A goalie slot, ahead of Berry. UW outshot PSU 14-8 in the first yesterday but still trailed 2-0. Can #Badgers avoid getting behind early and jump out to quick lead? We'll keep an eye on the Minnesota-Ohio State game and keep you updated throughout. That game starts at the same time as UW. UW currently sits at No. 17 in the USCHO's Pair-Wise rankings, just outside the 16-team NCAA tourney field. 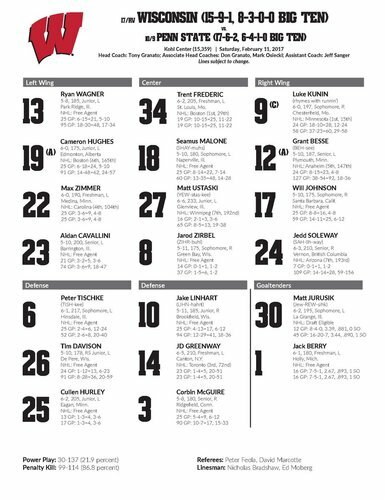 Matt Jurusik in net tonight for UW. 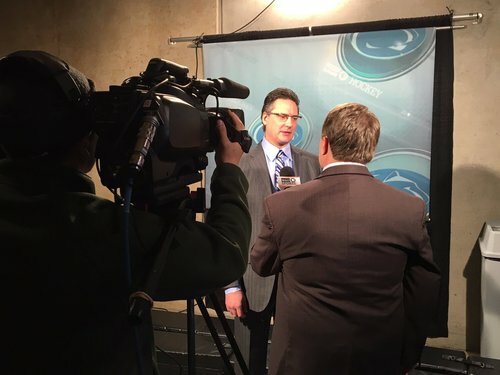 Peyton Jones again for Penn State. Faceoff is about 7 minutes away. 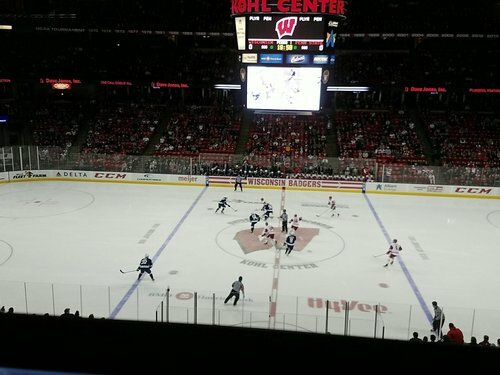 A few minutes from puck drop and the Kohl Center is not very full. I'm guessing attendance will be around 9,000 tonight. We are underway at the Kohl. #Badgers looking to even series with No. 10/9 Nittany Lions. Wagner just missed a wide open net after some tic-tac-toe passing between him and Greenway. UW's Wagner missed on what looked like an open net after quick passes from Frederic and Greenway. Some big chances early for the Badgers! Wagner's shot hit the post. 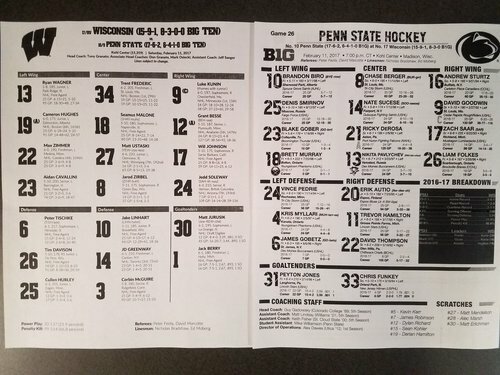 Penn State has the game's only shot on goal in the first 3 minutes, but UW has had some good opportunities. A lively start to this game on both ends. Shots are tied 2-2 through the first four minutes of play. Besse wrister from the wing swallowed up and shots are even at two for the first four-minute media timeout. First TV timeout with 14:46 left in the first. 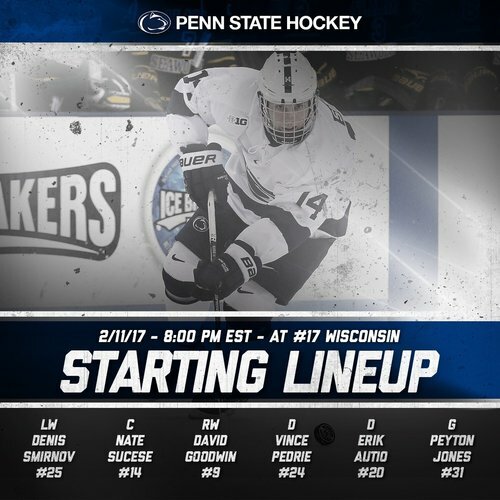 No score between UW and PSU. Shots are 4 apiece. Still scoreless with 12:25 to play in the first. Shots are tied 6-6. Good work in the offensive zone by the Badgers leads to their first power play of the game on interference. 10:50 to go in the first. Pedrie sent off for interference. Power play for UW. 0-0, 10:50 remains in first. PSU's Pedrie gets called for interference. UW gets the game's first power play with 10:50 left in the first. No score. But the man-advantage is quickly erased as Frederic is caught for interference.